If I were Christopher Nolan, I would say something like, “I am going into that gentle goodnight.” But unlike post-Inception Christopher Nolan, I know how to make sense and not say things that will annoy my audience. Bottom-line: I am entering midterm exams this week and I will miss next week’s episode of Constantine. So this week I wrote a smaller review of Constantine’s newest episode, “Blessed Are The Damned.” In two weeks, I will do a mega-review of episodes eight and nine of Constantine. Everyone must be terribly excited for that, I note with a spot of sarcasm. I entered this week’s episode of Constantine with much trepidation and I came out incredibly pleased. In my last three reviews I have noted that the show needs to pick up a pace with it’s plot and drop it’s pointless “crime of the week” formula. This week’s episode incorporated the “crime of the week” formula but in a fresher way with a plot that moved the plot forward. A evangelistic-type pastor in the South is bitten by a snake while preaching the trust of God and dies only to be brought back to life to the awe of his congregation. Without completely understanding how he had done it, the pastor plucked a feather from an angel’s wing. As the pastor begins preforming miracles around town, Constantine comes to investigate. As things get stranger, it becomes a matter of the angles and Manny gets involved. I honestly have very little to criticize in this episode. The effects were somewhat lackluster, I did not love the way possessions in this episode were handled, and it was stupid that the reason Zed was gone in the last episode was an art class . . . I guess. Honestly, that is about it for my gripes. I loved this episode. Many could argue that everything in this episode has been done before in some way shape or form, but that can be said about almost any film or TV show in the year of 2014. The material was presented engagingly and I cared about the plot’s events and that is the best that can be hoped for this early in Constantine’s airing. This episode was my indication that this show can be more than a watered down adaption and or a Supernatural rip-off. I hope next week’s episode can keep up the momentum that this episode generated. 1. Better handling of the “crime of the week” formula with the crime being a more sinister one than that of previous episodes. The stakes are higher now in terms of plot than they have been on the show before. 2. An interesting take on the whole “crazy-evangelist/sin” formula. 3. 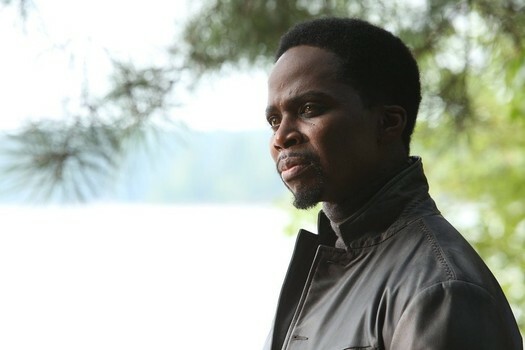 Impressive acting all around with specifically great performances from Harold Perrineau as Manny and guest star Patrick Carroll as Pastor Zachary. 4. Developments to the “dark uprising” story arc with a killer twist ending. 5. Surprising amount of character development for seemingly one-note character (Pastor Zachary). 7. The episode gets even better as it progresses. 8. The episode has just the right amount of seriousness and avoids melodrama.